Ever wondered why the TV show “Mythbusters” have never produced a show about RFID/Contactless technology? MythBusters is a science entertainment TV program created and produced by an Australian company, Beyond Television Productions originally for the Discovery Channel in the United States. The series is screened by numerous international broadcasters, including SBS One and the Discovery Channel in Australia, Discovery Channel Canada, and Quest and the Discovery Channel in the UK. 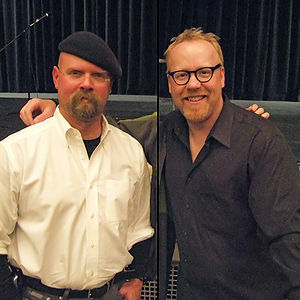 The show’s hosts, special effects experts Adam Savage and Jamie Hyneman, use elements of the scientific method to test the validity of rumors, myths, movie scenes, adages, Internet videos and news stories. ← All you need to know about Match-on-Card – New website!